Contrary to popular belief and theoretical underpinnings of grief and bereavement, there is now an (overdue) acceptance that there is no ‘one-size-fits-all’ approach to grief and bereavement. It is as individual as the people who experience the loss. It is my intention to discuss the process of grief and bereavement gently, and to bring some current thinking to this very heartfelt topic. In the past there was the long held view that grief followed a predictable emotional path from distress to ‘recovery’. Kubler-Ross (1969) talked about the five stages of grief, ie. Denial, Anger, Bargaining, Depression, and Acceptance. There was the idea that successful grieving required ‘letting go’ of the deceased/loved one. It is important to recognise that Kubler-Ross was describing the process she observed in terminally ill individuals in coming to terms with their pending deaths. She was not talking about survivor grief. Changes in theoretical ideology supported by recent research suggests that grieving should be considered as an active process involving four tasks: (1) accepting the reality of the loss, (2) processing the pain of grief, (3) adjusting to a world without the deceased/ loved one (both internally, externally and spiritually), and (4) finding an enduring connection with the deceased/loved one in the midst of embarking on a new life. (Worden, 2008). Who was the person to the bereaved? It is now argued that after a death, bonds with the deceased do not necessarily have to be cut, and that there is a potentially healthy role for maintaining an ongoing bond with the deceased/loved one. By doing this there is the knowledge that death ends a life, not necessarily a relationship. Instead of saying goodbye or seeking ‘closure’ there exists the possibility of room for the deceased/loved one to be both present and absent. The relationship remains a personal one where talking to the deceased is seen as a spiritual connection. This may also be experienced through dreams, visiting the grave, feeling their presence or through creating and participating in rituals that maintain the links with the deceased. When considering this response to grief/bereavement, an important factor as to whether the grieving has become complicated is whether the expression reflects an attempt to maintain a more ‘concrete’ tie where there is a refusal to give up the presence, or regain physical closeness to the deceased/loved one. Across a variety of different losses, research suggests that the failure to find meaning following the loss, especially in terms of trying to make sense of the death itself, may lead to higher levels of complicated grief symptoms. This is where the grief/bereavement process is protracted and usually accompanied by losses that are unexpected and premature. Many years ago, Viktor Frankl, a highly regarded psychiatrist and author based his research and writings on his experiences as a concentration camp inmate (WW II) and man’s search for meaning. He believed that the need to find meaning in life (and death) through personal experiences is a search that is universal. So, in the face of loss of a loved one, this is what is sought. For many the effort to make sense of death can be fruitless. Instead, the focus becomes one of trying to make sense of life, learning how to focus on and force something positive to come from the life of the deceased and the legacy he/she left behind and honouring that life. 1. It takes time to work through your grief. Grief takes up your energy physically, emotionally and psychologically. Grief requires time, lots of time. One to two years is not a long time in allowing time to work through grief. There are the memories, meanings and finding a way through this painful process. 2. It’s OK to enter the emotions of grief. It is natural to want to avoid painful emotions. In losing a loved one, you deserve to allow yourself to feel the full range of emotions – sadness, anger, feelings of intense longing, guilt and others. 3. I’ll get by with a little help from my friends. 4. Keep a check on your health. Bereavement is a time of taking care of yourself as grief takes a toll on you emotionally and physically. You have been wounded on a number of levels. Grieving places a heavy burden of stress on your body. It can cause sleep disturbances, weaken the immune system and exacerbate health problems. Give yourself time and space to begin the healing process. Rest, healthy eating, and ‘time out’ are essential in your recovery. 5. Alcohol and substance abuse only mask the pain. Try and resist the temptation to take drugs or use alcohol to numb your pain. These can interfere with the grieving process by delaying it or masking the pain. Where depression is being experienced, alcohol can make the situation worse. 6. Keep in touch with your Doctor. Ensure you see your doctor regularly to have health check-ups. He/she will monitor any existing health problems, prescribed medications and adjust them according to your needs; for example, blood pressure, insomnia, anxiety, depression and the like. Sometimes short term medication may be needed to assist you in the recovery process. Having mixed emotions (involving positive and negative feelings), especially in situations where issues remain unresolved after an argument or physical/emotional absence complicates the grieving process. There will be feelings of remorse, guilt, anger and so much more that comes into play where sudden death has occurred. Sharing these feelings with a mental health professional can help. 8. One step forward then one step back. The grief process often includes some setbacks. Be patient with yourself and others. Grief cannot be considered as a linear process. There will be twists and turns. Trying to set deadlines in matters of grief is unrealistic. Reminders, being task focused, and placing grief on the backburner, may hinder the healing process. 9. Stuck in the well of grief. If feeling stuck with no way out of your grief, consider a new approach. Trying to avoid pain is a very normal reaction, however, if immobilized, try to ‘kick start’ the grief/bereavement process by visiting and reviewing personal memorabilia. For example, looking at photo albums, home videos and movies containing happy images of your loved one. Do talk about your loved one especially at those occasions where his/her absence will be felt. It is a positive opportunity to share and provide mutual support. 10. Rituals and Traditions are a part of life. Our lives are enriched by personal and family rituals; those special occasions that we share with loved ones. There is no greater way to honour our loved ones than to continue the traditions that bind us. It also opens the door to create new ones that will continue to strengthen the ties of the past, present and future. This is the ending of one phase of our lives and the beginning of a new one. Create a legacy. No one escapes this life without the experiences of grief and loss. 12. Connect with your spirituality. With death there is the question of why. 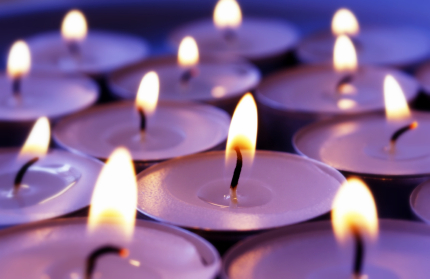 Use your own sense of spirituality to explore what death or loss means to you and your spiritual self. Pray, meditate and spend time with nature. Mindfulness practices help us stay in the moment and to accept that our existence is one of impermanence. 13. Grief affects people differently. Some people let everybody know how they are feeling; others don’t like to make a fuss. Women and men are treated differently in society. With this in mind, they may express their grief differently. Culturally, different nationalities, cultures and religions see death, loss and grief in a specific way, based on their own beliefs and view of the world. Once again, there is no timetable to grief/bereavement as it is such a personal journey, but it does sometimes pay to listen to the concerns and observations of people around you. Don’t hide your grief from others who are about you, especially your children. By hiding your grief you may be conveying a message to them that it is wrong to grieve openly, or to ‘inflict’ your grief on other people. Children need to know that grief is OK.
15. No guilt in having fun or laughing. It is not unusual for someone who has suffered the loss of a loved one to feel guilty for laughing or having fun, or enjoying anything. Would your loved one want you to not laugh, to not have fun? Would you wish that on them if the situation was reversed? Of course not. What you are doing is honouring the life of your loved one. When your loved one was alive, you shared laughter, joy and life. This is their/your legacy. One of the greatest things we can do for ourselves and to honour our loved one is to stay in touch with the people you both shared your life with. Be prepared to reach out because they have lost someone dear to them too. This is particularly the case as the population ages and the numbers of friends dwindle. 17. We are bound by attachments in life. At some point those who have lost their partner may face the decision of whether to be open to a new relationship. If one considers the situation reversed, that is, if you died and your partner survived, what would you want for them? It may help you to see your situation from this angle. 18. To move or not to move. It’s usually not a good idea to make major life changing decisions in the first 6 – 12 months after a loss. It is often better to delay such thoughts until your life is back in balance again. 20. To everything there is a season. MSW Clinical Counselling (Hons), BSW (Hons), Assoc. Dip. Social Science, Cert. IV Adult Teaching & Training. MAASW, MACA, MACWA. For more Positive People / Positive Relationships Articles click here. Welcome to the Relationships-and-Life Skills Website and Blog. I hope you enjoy your visit and that you find details about the Psychotherapy and Coaching Services of assistance in your decision making about whether to undergo counselling/therapy or coaching.